June 19, 2013. Pictured: Aurora over Murmansk city of Russia. An aurora is a natural light display in the sky particularly in the high latitude (Arctic and Antarctic) regions, caused by the collision of energetic charged particles with atoms in the high altitude atmosphere (thermosphere). December 05, 2012. Nadymsky region of Yamalo-Nenets Autonomous Okrug,Russia.The Nentsy (also known as the Yurak) are one of five Samoyedic peoples, which also include the Entsy (Yenisei), Nganasany (Tavgi), Sel`kupy, and Kamas. Although many aspects of their lives have changed, the Nentsy still rely on their traditional way of life,which is hunting, reindeer herding, and fishing. Pictured: daily life of the nentsy. November 30, 2012. 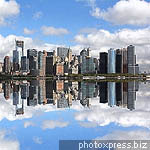 USA, New York, Manhattan, City. October 17, 2012. Krasnoyarsk krai of Russia. Pictured:The Sayano-Shushensky state biosphere nature reserve. The Western Sayan mountain ridge . July 18, 2012. Kaliningrad city of Russia (former Königsberg of Prussia). Nesselbeck hotel in Kaliningrad. July 10, 2012. India. Rajasthan Camel Festival.he Camel Festival is an event organized in Bikaner by the Department of Tourism, Art and Culture, Government of Rajasthan, every year in the month of January. Desert region`s Folk dances and Music, add on to what is otherwise an exclusive camel affair. A festival when the ships of the desert are seen at their best. Camels fascinate tourists from all over the world with their movements, charm and grace. A spectacle of unusual camel performances: camel races, camel dances, and the bumpy, neck shaking camel rides.Pictured: participants of the festival. April 24, 2012. Pskov region of Russia.Pictured:Historical reconstruction of the The Battle of the Ice (also known as the Battle of Lake Peipus) to mark 770 anniversary of the Battle. The Battle of Lake Peipus was a battle between the Republic of Novgorod and the Livonian branch of the Teutonic Knights on April 5, 1242, at Lake Peipus. The battle is notable for having been fought largely on the frozen lake. April 13, 2012. Franz Josef Land (also Franz Joseph Land or Francis Joseph`s Land). Franz Josef Land is an archipelago located in the far north of Russia. It is found in the Arctic Ocean north of Novaya Zemlya and east of Svalbard, and is administered by Arkhangelsk Oblast of Russia. Pictured: monument to Nikolai Chudotvorets (Wonderer-Worker)and a chapel (back) on Alexandra Island, one of 191 ice-covered islands of Franz Joseph Land. April 05, 2012. Karlovy Vary spa resort. Karlovy Vary is a spa city situated in western Bohemia, Czech Republic. March 15, 2012. Russia,Vologda region. Lake Siverskoye and The Kirillo-Belozersky Monastery. The beautiful monastery of St. Cyril was founded in 1397, on the banks of Lake Siverskoye. March 12, 2012. Norway,Kjerag plateau, Lyse Fjord. Rope jumping. March 11, 2012. Georgia. Georgia`s capital city of Tbilisi.Pictured: Kura river. February 22, 2012. Akhmad-Khadzhi Kadyrov mosque of Chechen capital. February 02, 2012. Russian style touristic complex Verkhnye Mandrogi in Leningrad region of Russia. Pictured: exterior of russian wooden house. January 13, 2012. United Arab Emirates. Dubai. Skyscrapers of Dubai.